Conrad Koch was the winner of the 2010 Entertainer of the Year award, and of a 2012 Standard Bank Ovation Award from the National Arts Festival. He was a nominee for 2014 SA Comic of the Year, and won The Times Comic’s Pen Award for 2014, a double International EMMY nominated comedian. 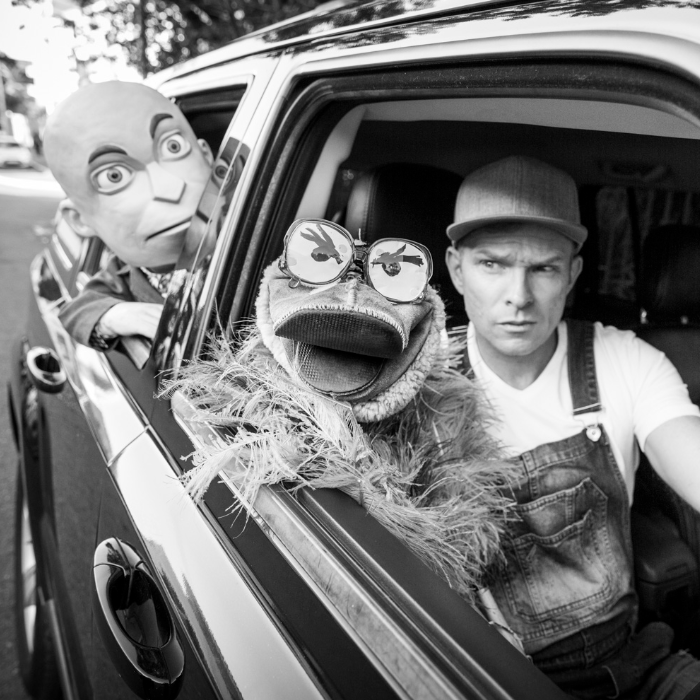 Conrad Koch's most famous character, Mr. Chester Missing, was a regular on eNCA’s Late Nite News with Loyiso Gola; and his hit one man shows have received standing ovations around South Africa. In 2015 Comedy Central Africa took him to Just For Laughs in Montreal, the world’s biggest comedy festival, where he recorded shows for both Comedy Central and Canada’s Comedy Network. His edu-taining talk, “Making Laughter Work” (on techniques to make the office a more diversity-friendly, pleasant, playful and productive environment), has received standing ovations around the country. This fun-filled interactive talk focuses specifically on creating a client-focused culture, where diversity, customer-centricity and corporate citizenship are lived, rather than just spoken about! Conrad has audiences in stitches by talking to himself through a variety of extremely eccentric characters. Self-ridicule has never been this fun. 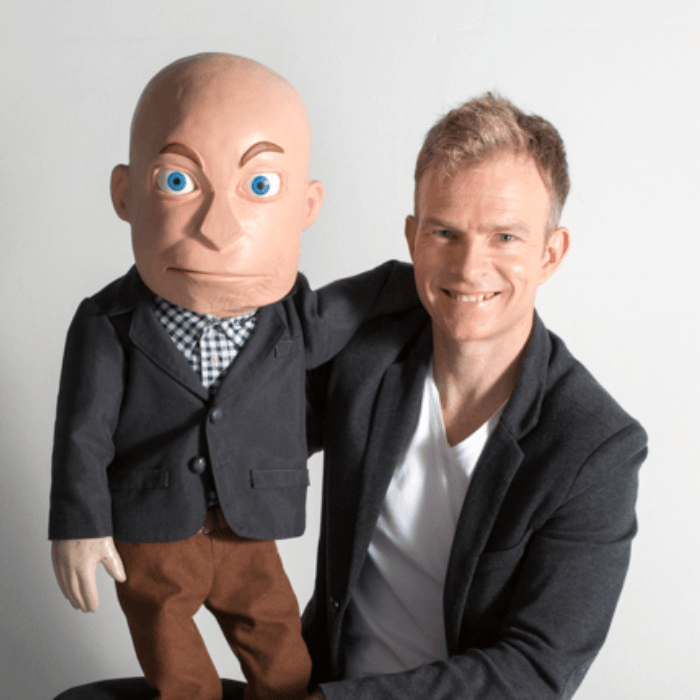 Meet Mr. Chester Missing (SA’s top puppet political analyst of LNN fame), and Charles Hilary, the celebrity life coach ostrich. Do you want to stop: silo-ing, office politics, discrimination and interpersonal conflict? Do you want to increase: corporate citizenship, staff retention, networking, job satisfaction, customer service, and a drive toward excellence in performance? In this rollercoaster ride of entertainment and training Conrad Koch, world class comedian and culture change activist, puts forward techniques, information and insights that managers and employees alike can use to improve the both the quality and productivity of the work climate. The talk is highly interactive, humorously training audiences in how to understand workplace culture, how it affects productivity, and gives practical examples of how to uplift the workplace environment. It also touches on issues of diversity when it comes to humor, and how to create more inclusive work interactions. 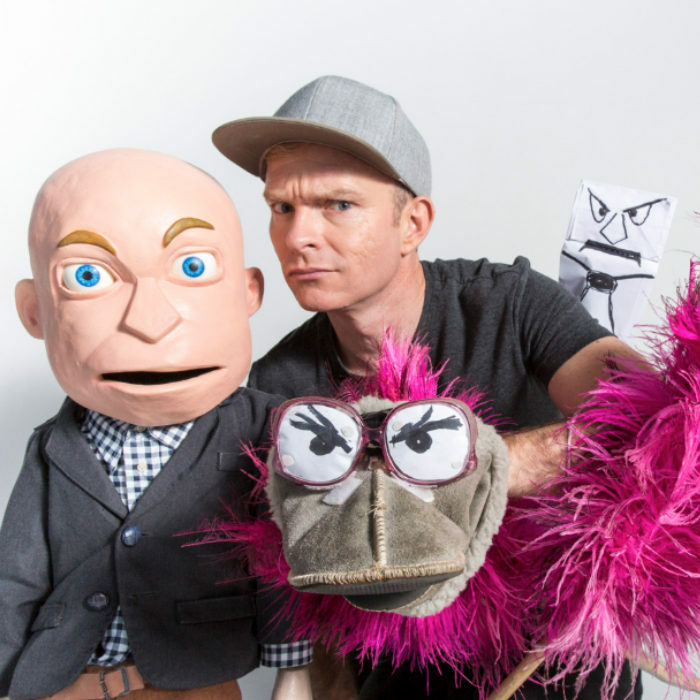 Conrad has an MA in corporate culture, and is a double International EMMY nominated comedian, and, with his puppets, is a regular feature on South African TV. He has engaged in large-scale corporate culture change programmes for the likes of SAA, Goldfields, FNB, Sun International, etc. Conrad believes in helping people to have fun and work at the same time (no, really). Through facilitation, learning and comedy this presentation gets participants to realize how to create cultures where people love to work.